Description: Looking for a quick project or gift? This is the easiest project you’ll ever make! Five seams and the top is finished! No binding, just turn, add some simple quilting and you’re done. 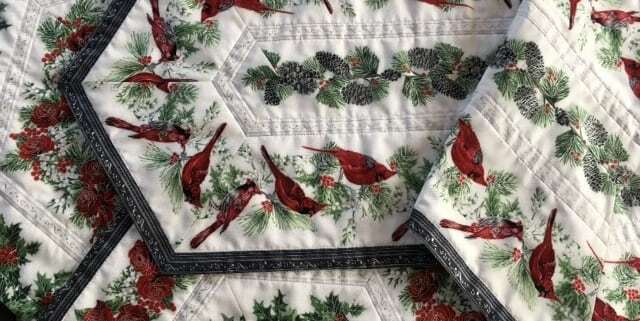 Choose a border print or striped fabric; in most cases you’ll even have enough fabric for a couple of placemats, should you choose to make them too.